Joanne Rutkowski, Professor Emeritus of Music Education, joined the Penn State faculty in 1984. Prior to her retirement in 2015 she taught undergraduate and graduate courses in music education with particular emphases in music learning and development, research design, curriculum development, assessment, and music for children birth through age 12. She continues to advise doctoral students' research. Dr. Rutkowski's research on the nature of the child singing voice and the development of techniques and materials for enhancing the singing achievement of children in a classroom setting has been presented at state, regional, national, and international symposia and conferences. She has additional scholarly interests in early childhood musical development, curriculum design, assessment, and mentoring doctoral students. She has written articles for numerous journals, including The Journal of Research in Music Education, General Music Today, Update: Applications of Research in Music Education, Bulletin of the Council for Research in Music Education, and Contributions to Music Education, and has published invited chapters in the Handbook of Research on Music Teaching and Learning, The Musical Lives of Young Children, and Early Adolescence: Perspectives on Research, Policy, and Intervention, Engaging Musical Practices: A Sourcebook for Elementary General Music. 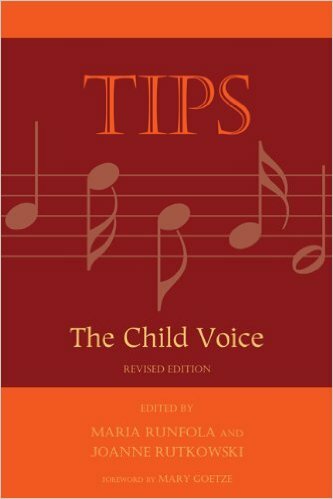 She is also co-author, with Maria Runfola, of the MENC publication, TIPS: The Child Voice. She currently serves on the editorial committee for several journals, including New Directions, ECMMA Perspectives, International Journal of Research in Choral Singing, and Music Education Research International. She recently completed 6-year terms as a a member of the International Society for Music Education Early Childhood Commission and as a member of The Journal of Research in Music Education Editorial Committee. Rutkowski received her degrees in music education from Miami University in Ohio (B.M.) and the State University of New York at Buffalo (M.F.A., and Ph.D). She has taught general and choral music, grades K-8, in Ohio and New York. She continues to provide music experiences for children ages birth-5. Invited contributing author, “Tapas: Balanced vocal and musical nourishment for young singers”. (Maria Runfola, SUNY at Buffalo, co-author). Lantham, MD: Rowan Littlefield Publishing Group, 2010. Invited author, “Music learning theory and Gordon’s curricular model in teacher education”. In C. Taggart & M. Runfola (eds). The Development and Practical Applications of Music Learning Theory, pp. 327-344. 2005. Invited lead author, “Experiences: Singing” (Valerie Trollinger, University of North Carolina-Greensboro, co-author). In J. Flohr (ed.) The Musical Lives of Young Children, 2005, pp. 78-97. Upper Saddle River, NJ: Prentice Hall Music Education Series. "Choral warm-ups for young singers”, contributions for The Choral Warm-Up Collection, Sally K. Albrecht, Editor. Van Nuys, CA: Alfred Publishing Company, 2003. Invited author, “Early childhood music educators” (Diana Dansereau, graduate student, co-author), entry for Women and Music in America since 1900: An Encyclopedia, 2002, pp. 163-166. Westport, CT: An Oryx Book, Greenwood Press. "Music in the lives of adolescents: A comparison of in-school and out-of-school experiences". In R. Lerner (Ed.) Early Adolescence: Perspectives on Research, Policy, and Intervention. 1993, pp. 221-238. Hillsdale, NJ: Lawrence Erlbaum Associates, Inc.
By invitation: "Schools/curriculum: General music curriculum" (Maria Runfola, SUNY at Buffalo, co-author). In R. Colwell (ed.) 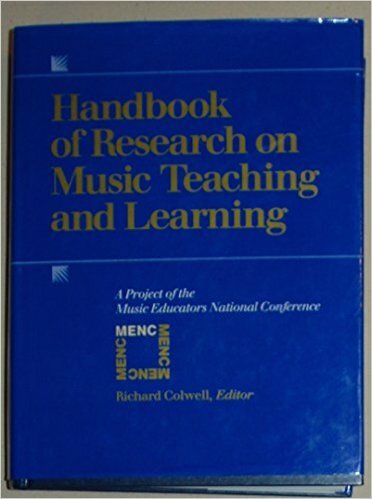 Handbook of Research in Music Teaching and Learning, 1992, pp. 697-709. An MENC project published by Schirmer Books. Invited contributing author for the "Models and Materials" sections of Curriculum for Pre-Kindergarten Music Education: Guidelines, Models and Materials (M. Palmer & W. Sims, co-editors), Music Educators National Conference, 1993. Invited author, “Cited quantitative research articles in music education research journals, 1990-2005: A content analysis of selected studies” (Keith P. Thompson and Yi-Ting Huang, co-authors). In P. Madura (Ed. 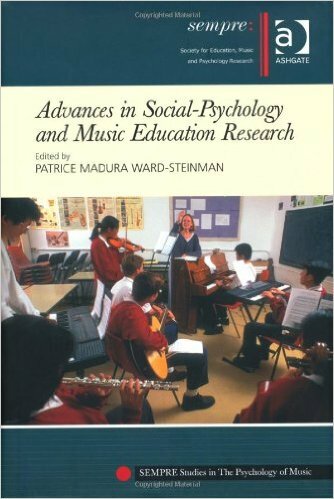 ), Advances in Social-Psychology and Music Education Research, the SEMPRE Studies in the Psychology of Music series. Farnham, UK: Ashgate Publishing, 2011. Invited author, "Development and pedagogy of children's singing". In S.L. Burton & A.M. Reynolds (Eds. 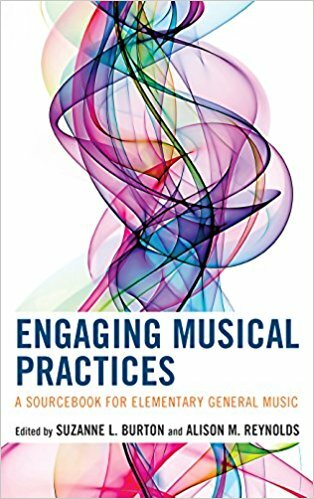 ), Engaging Musical Practices: A Sourcebook for Elementary General Music, pp. 33-50. New York: Rowman and Littlefield, 2018.